The success of your company hinges on so many things but mostly on your employees. It is no longer news that employees are the greatest assets of any organization. This is why successful organizations do everything they can to attract and retain the best employees. While the salary you offer could be one way to attract and retain employees, if you really need quality people to stick with your company, you need to do much more. One of the most effective ways to attract the best workers is by offering them a group benefits plan that covers health benefits, life insurance, disability insurance, retirement plans and so forth. Interestingly, a lot of Canadian insurance companies offer group plans with these features but you don’t have to choose in a hurry. To choose the right group benefits plan, you need to go for an insurer whose coverage can be customized to suit your organization’s requirements while also properly covering the insured and his family. This is where Green Shield Canada comes in. Green Shield employee benefit packages are some of the best you can find out there as they offer a lot of interesting and attractive coverage together with mouthwatering discounts that can help you to save on the plan. With Green Shield employee benefit plan, you will easily retain quality employees and make sure that your employees have the peace of mind, security, and satisfaction needed to focus entirely on your business. This will ensure improved productivity and also business growth. To get an immediate Green Shield employee benefit quote, click here. Green Shield Canada offers a lot of benefits to plan members. These include drug benefits, dental coverage, orthodontic coverage, extended health benefits, health care spending account (HCSA), personal spending account (PSA), and travel benefits. The drug benefits cover prescription drugs, antibiotics, specialty drugs, and so forth. Dental coverage covers basic oral surgery, bitewing x-ray, complete oral examinations, denture cleaning, panoramic x-ray, recall exam, bruxism appliance, periodontal treatment, and major dental services. Orthodontic coverage covers all kinds of braces including clear braces, progressive braces, and conventional options. Extended health benefits cover accidental dental, audio or hearing aid, custom shoes, emergency transportation, home care services, hospital accommodations, medical terms, orthotics, orthopedic shoes, services of paramedical practitioners, vision care, and many more. Green Shield also provides the Go Mobile that allows you to take your benefits everywhere you go. You can also easily process your claims online or take advantage of direct deposit. Your employees can get rewarded in the Green Shield employee benefit program. This is made possible by the Change4Life that rewards things you do to stay healthy. To learn more about Green Shield employee benefit, click here. As health benefits fraud becomes more sophisticated, it has become important now more than ever to detect and shut down such fraudulent schemes but this may imply sifting through an unimaginable level of collusion. People who perpetrate such fraud have mastered the benefits world and they are also innovative and technologically shrewd. They have varied activities and usually comprise plan members, plan providers, labs and suppliers, prescribers and involve up to hundreds of millions of dollars every year. Being a longstanding leader in the detection and prevention of fraud, Green Shield and its health management solution provider division (HBM+) have created a multi-layer strategy based on artificial intelligence (AI) under its new Claim Watch banner. Even though the range of GSC’s claims data has huge volume in every form and direction and their analysis can require a lot of time, the new AI platform can find and compile any kind of data at remarkable speed. It will also identify patterns and outliers that hitherto appear less obvious at a level deep enough to uncover suspicious activities as early as possible. Brent Allen, vice president of service operations at GSC said that they are very proud of what GSC and HBM+ do in detecting and preventing fraud. Detecting and preventing fraud required manual processes in the past. The focus was on following a paper trail but GSC and HBM are trying to find a needle in the haystack. Today, the AI platform is a gamechanger as it pulls every data on claims, health providers and plan members to create instant insight. GSC has a very rich data but the data is less daunting with the AI-powered microscope, Brent stated. 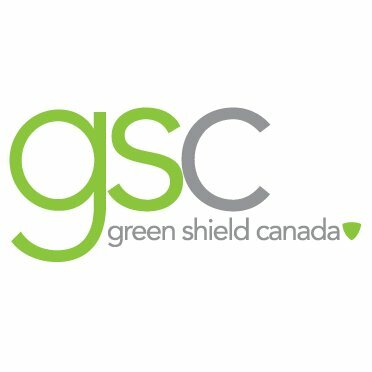 To learn more about Canadian Green Shield employee benefit, click here. Are there benefits plans for employees who are losing their job or retiring? Yes. GSC allows employees who are retiring or losing their job to convert to an individual plan. This is designed to bridge the gap and ensure peace of mind as the individual retires or leaves the job. Paper claims are processed at the Green Shield head office in Windsor, Ontario. However, GSC receives more than 90 percent of its claims electronically. These are received and process in five minutes or less. GSC processes claims from pharmacies and provider offices across Canada. As a health and dental specialist, who do you partner with for other benefits? GSC partners with anyone but still offers the “single carrier feel”. Furthermore, the “Online Administration” of GSC provides an option for multiple-carrier billing and administration. This makes the duplicate efforts that come with two carrier administration systems unnecessary. Do you allow health and dental providers to submit claims online? Yes. Pharmacies, extended health, and dental providers can submit claims online via the ProviderConnect. This provides access to the most robust registry in the industry as well as online claiming and secure services for direct deposit. Also, providers can submit claims online through Secure Services and the technology allows instant processing of drug and dental claims. To learn more about Canadian Greenshield employee benefit, click here.